We have a modern, purpose built four bedroomed home available. The two churches are embarking on a new venture full of exciting possibilities as they seek to build on a good foundation of faithful, prayerful service. Emmanuel church in north Southport is in the central Anglican tradition with a thriving scout and guide group attached with family and messy church services designed to reach out to younger people. The church has a desire to rekindle some of our older fellowship groups. The church is well known in the parish, frequently used for weddings, funerals and baptisms and has a large hall for community use. St John’s is a more liberal catholic church supported by a self-supporting curate and Lay Reader. The church has a range of services including messy church and family communion. Its community room is well used and the church has a thriving Brownie and Girl Guide unit. 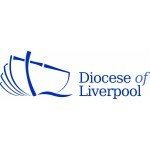 The church has excellent ecumenical links and strong links with the local CofE school. Both churches are in the seaside town of Southport. Southport is a diverse community with all the attractions and challenges you would expect in a resort town. Southport is a great base for access to Liverpool, Manchester, the North West, Wales and beyond. encourage good use of the church buildings. a desire to innovate without disrespecting traditions.